Despite the Trump administration’s recent decision to levy a 30% tariff on solar in the U.S., the co-founder and CEO of Sol Systems, Yuri Horwitz, recently explained in detail why he thinks solar is still set to become the dominant source of new electricity in the United States by 2022. Despite the obvious political headwinds, Horwitz points out that Americans overwhelmingly support renewable energy and know that climate change is real; polls have continually demonstrated this. This broad public support will be crucial during the next decade as investment is found for the infrastructure needed to develop a renewable grid. He believes that depending on geography, solar and wind will be able to scale to provide 35-40% of the nation’s energy, and in real-time energy generation sometimes more than that. It is expected that solar will start to compete with natural gas on price. While natural-gas generation fell between 2016 and 2017 – from 35% to 32% of total U.S. electricity production – it was still the primary fuel for power generation for the second year in a row, surpassing coal-fired power generation sitting at 30% in 2016. However, at the same time solar power-purchase agreements (PPA) continue to drop in price, and it is expected that solar PPA pricing will drop further due to competitive financing and tech innovation. Investor demand for solar is also likely to increase, and the cost of capital for solar projects will continue to decrease. There is huge interest in renewable energy as an asset class, and the solar industry is expected to continue to attract the many billions in investment needed to scale and ultimately overcome non-renewable competition. 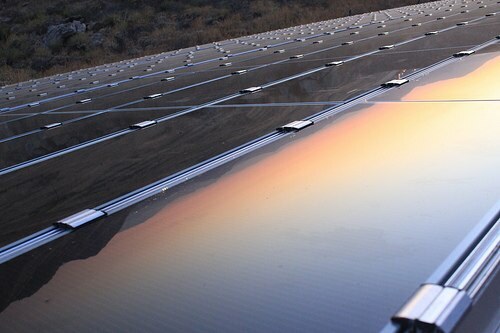 As costs come down, solar module efficiency will continue to rise. While U.S. demand for modules is admittedly “anemic” right now, module supply is stable and there is still huge Chinese demand. China now accounts for 40% of global market demand for solar. This solid demand, combined with a worldwide trend towards manufacturing efficiency and automation, is expected to continue to drive costs down and efficiency up. Although Horwitz is confident that solar modules will become increasingly cheap and efficient, he points out that it is not the whole solution. Energy storage with lithium-ion and flow batteries will also need to be dramatically scaled. This will enable better ramping, frequency regulation, and load shifting. Without sufficient storage, solar cannot be scaled to be a major part of overall energy production and delivery. Energy storage costs are expected to decline 10-20% annually for the next decade, and they have already dropped 50% during the past two years alone. Along with lithium-ion batteries, flow batteries and pumped water storage are expected to be crucial tools for managing load and distrubution. Horwitz concludes that the path ahead for the solar industry is complex, and it has fierce competition, but solar is on a path to dominance in the energy sector.